Now that week 15 is almost in the books (other than the one Min/Chi game that would not affect the standings), let’s take a look at how the playoff picture looks now. The AFC division leaders are all confirmed. We have New England Patriots and Indianapolis Colts reclaiming their position as AFC East champions and AFC South titles respectively after losing it last year, the Cincinnati Bengals as new AFC South champions and San Diego Chargers coming out tops in a very mediorce AFC West division. Right now, there are 5 teams in the wild-card race. If Baltimore Ravens win against the Oakland Raiders and the New York Jets win against a Bengals team that might be looking to rest their starters, and I believe they will, then the two teams will secure the two wild card spots, with the Ravens being the higher ranked team based on a better record against common opponents. The Denver Broncos need either of them to lose, while the other two teams, Houston Texans and Pittsburgh Steelers, need all three teams to lose to be in with a shout. For the sake of discussion, we shall assume that the Jets and Ravens both win. 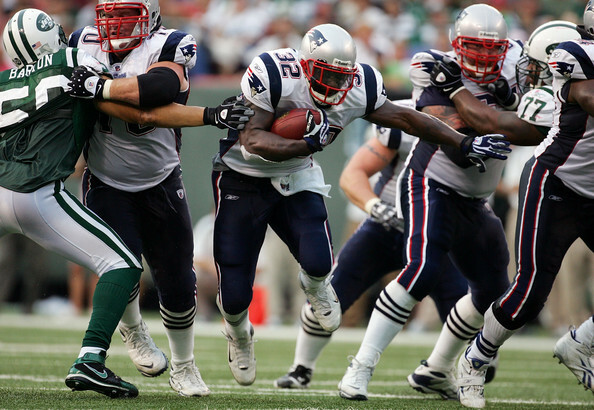 The Jets will face division rivals the Patriots in what is surely to be a heated contest. 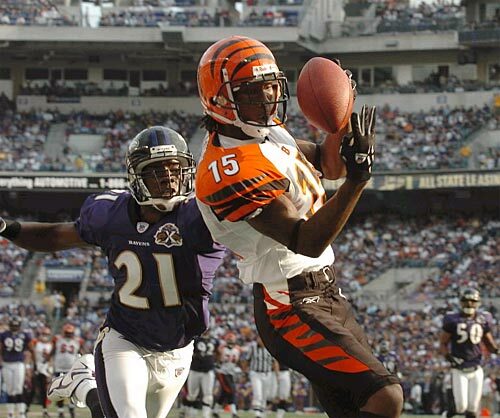 The Ravens will then face their division leaders as well in the Cincinnati Bengals, while players from the Chargers and the Colts can enjoy the action from their living rooms as they get a bye. The teams split the regular season matches with one apiece, but the Jets victory came in week 2 when Mark Sanchez was on fire and Tom Brady have yet to discover his Midas touch. Their 4 straight victories leading up to week 15 claimed the AFC East Crown, and also unveil the Tom Brady of old. The Patriots defense looks suspect at times, but expect the Moss-Welker-Brady axis to be too strong for the Jets defense. The Cincinnati Bengals play with heavy hearts as they lost two endearing members of their team. Wife of defensive coordinator, Mike Zimmer, was like a mother to the players while wide receiver Chris Henry passed away in an unfortunate incident. The Ravens have been inconsistent this year, and have not strung together consecutive victories since week 3. Expect the Bengals defense to torture Joe Flacco and the Bengals to come out on top. There is no way to choose between the two most successful franchises of the decade and be absolutely sure of your decision. I’ll go with the New England Patriots because they have a coach in Bill Belicheick who has to be considered in best coach ever debates, while Jim Caldwell is still unproven in the playoffs. Expect a squeaker. The Chargers are riding a 10 game winning streak and there have been calls for Phillip Rivers to be considered as NFL MVP of the season. I don’t think he deserves the award. I also don’t think their defense can stop Cedric Benson. The bye week is probably a bane rather than a boon for the Chargers, who I predict will go one and done in the playoffs, then costing Norv Turner his job. Yes, I’m predicting the 3rd and 4th seeds to be in the AFC Final. It’ll be a classic battle of a running Bengals offense against a passing Patriots offense in a battle to see who can wear down the opponent more and who can put more points on the board. The Bengals are going to the Superbowl! What planet do you live on? Jeesh! !